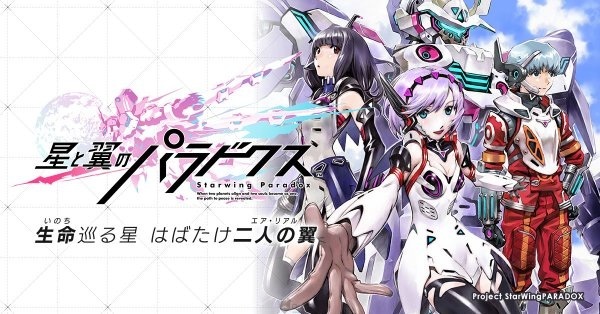 Sal Romano wrote: Square Enix has announced Starwing Paradox, a new “high-speed competitive mecha action” game due out in Japanese arcades this fall that supports up to 16 players online. It is described as a major project with world setting creation and animation are being handled by Sunrise, with top staff including Sunrise producer Naohiro Ogata (known for Mobile Suit Gundam Unicorn, etc. ), character designer Yoshiyuki Sadamoto (Neon Genesis Evangelion character designer, etc. ), mecha designers Ippei Gyoubu (Mobile Suit Gundam: Iron-Blooded Orphans mecha designer, etc.) and Jun’ya Ishigaki (Xenogears Gear designer, etc.) working on the title. The game will combine high-quality animation with high-speed mecha action for a maximum of eight-versus-eight online battles. The arcade unit itself will provide a realistic robot piloting experience by moving based on your in-game movements. 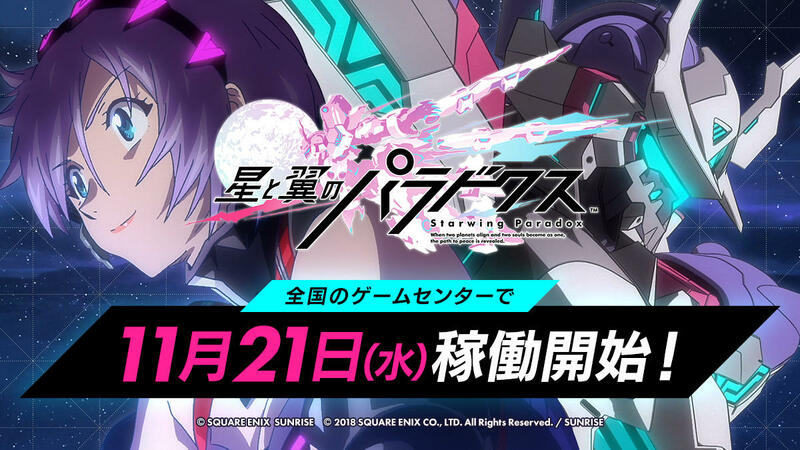 Starwing Paradox will be playable for the first time at Japan Amusement Expo 2018 from February 9 to 11 at the Makuhari Messe in Chiba, Japan. The official site says it's coming "Fall 2018". 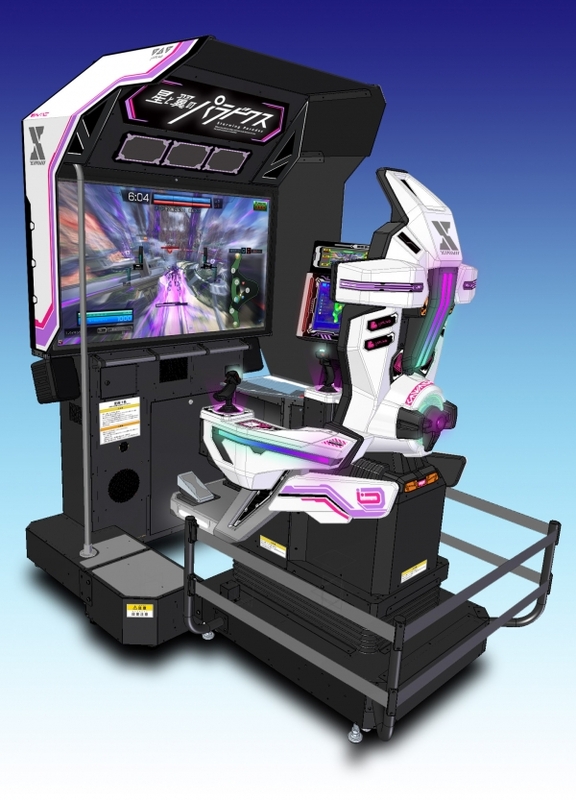 I wrote: Squeenix keeping arcades alive ffs, with a fantastic-looking 8v8 mecha fighter in a huge moving-seat cabinet. Hope it does well and we get a port some day, looks real good. Insomnia wrote: Frenetic airborne Border Break in a force feedback cabinet.